Public Health Accreditation Board (PHAB) Accreditation is a set of nationally recognized standards in the U.S. that are intended to improve the quality and performance of all public health departments, whether they are Tribal, state, local, or territorial health departments. As of this past August 2017, over half (51%) of state health departments are PHAB accredited, while another quarter (25%) of them are in the process of getting PHAB accredited. Less than a quarter (24%) of state health departments in the U.S. are not PHAB accredited nor in the process of getting PHAB accredited (Figure 1). The percentage of state health departments that are PHAB accredited, in the process of getting PHAB accredited, or are neither PHAB accredited nor in the process of getting PHAB accredited as of August 2017. Data Source: Public Health Accreditation Board (PHAB). Accredited Health Departments as of June 2017. Graph: Rillian. At the local level, only 21% of local health departments (LHD’s) are engaged in PHAB accreditation as of 2016. 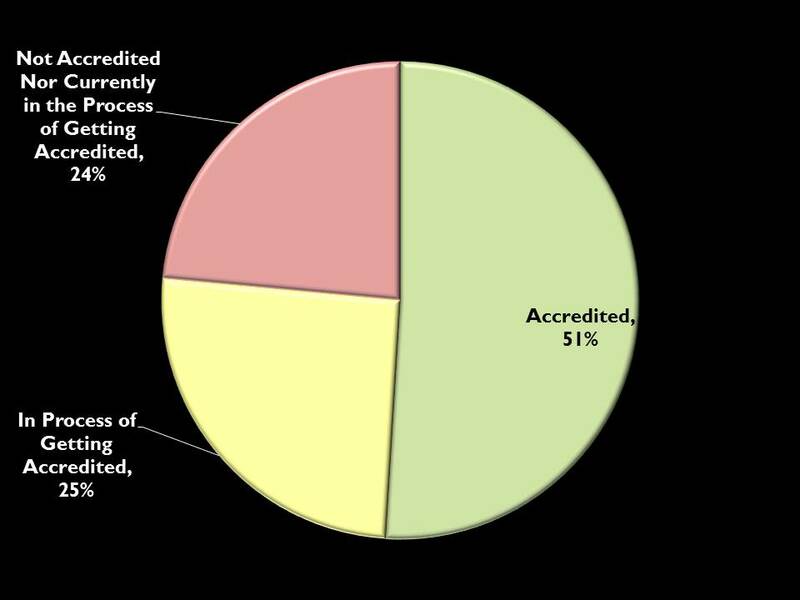 This percentage has increased greatly since 2013 when it was only 6% of LHD’s that were formally engaged in PHAB accreditation (Figure 2). 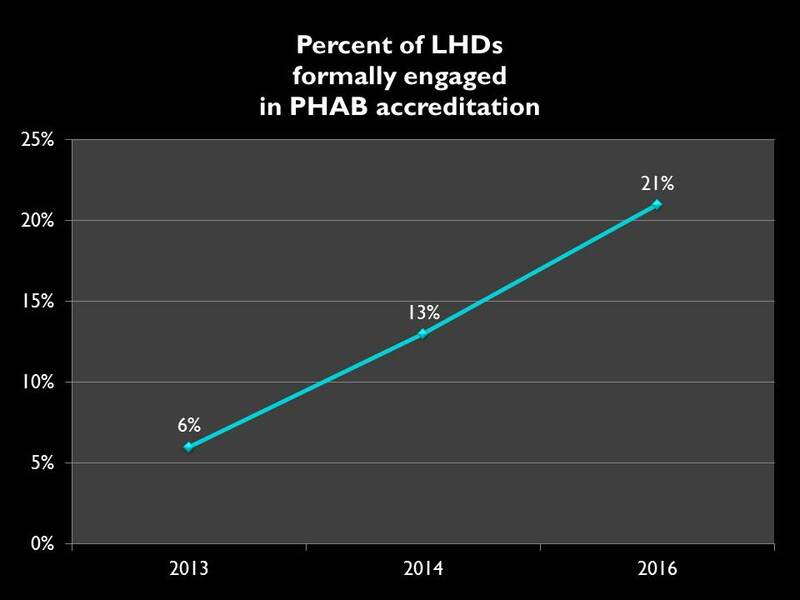 The percentage of local health departments (LHDs) that are formally engaged in PHAB accreditation between 2013 to 2016. Data Source: National Association of County and City Health Officials (NACCHO). 2016 National Profile of Local Health Departments. Graph: Rillian. Only 4% of LHD’s are PHAB accredited as of 2016 with another 5% having just completed the application for PHAB accreditation, and 3% having registered in e-PHAB, the electronic system PHAB uses for document submission for PHAB accreditation application (Figure 3). 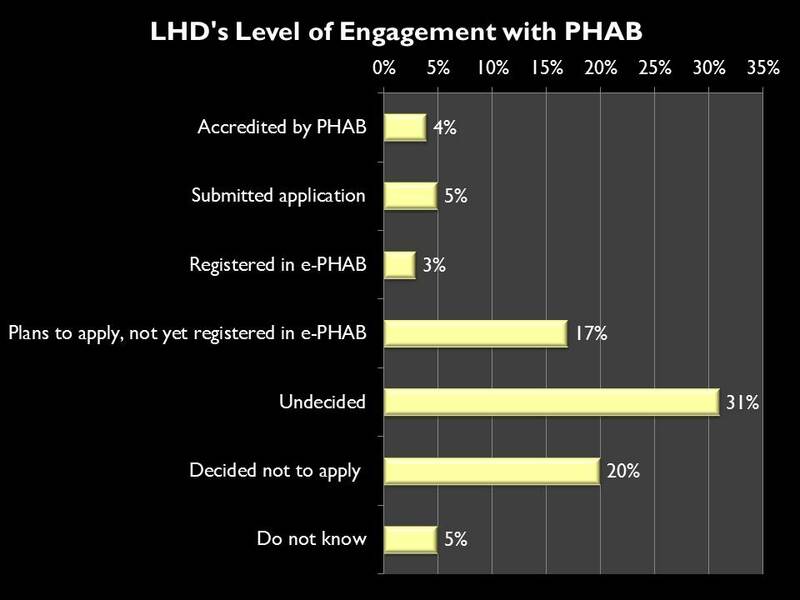 Another 17% of LHD’s have plans to apply for PHAB accreditation in the future, but have not yet taken the first step of registering in ePHAB. Some LHD’s (31%) have not yet decided if they are going to apply for PHAB accreditation, while 20% of LHD’s have decided not to apply as of 2016 (Figure 3). Local health departments (LHDs) level of engagement with PHAB accreditation as of 2016. Data Source: National Association of County and City Health Officials (NACCHO). 2016 National Profile of Local Health Departments. Graph: Rillian. It should be noted that states vary in the structure of their public health department systems, so in some states, once the state health department is PHAB accredited, the accreditation may also apply to the LHD’s in states in which the local health department is essentially just an outpost of the state health department. At the state health department level, most states (51%) are either PHAB accredited or in the process of becoming PHAB accredited (25%) while at the local level less than a quarter (21%) of local health departments are formally engaged in PHAB accreditation. Check out PHAB’s interactive map of the PHAB accredited health departments to find out if your local, state, or tribal health department is accredited.